For the last decade, the availability of cheap prescription painkillers had made heroin somewhat obsolete. These prescription drugs, such as oxycodone, somewhat mirror the high that is felt when a person ingests heroin. This is especially true when the painkillers are melted down and injected into the bloodstream. In the past couple of years there has been an exponential jump in the number of prescription drug overdoses, and state law enforcement as well as lawmakers have taken notice. Cops have made it a priority to make arrests for unlawful possession or distribution of prescription medications. They have also increased their awareness and focus on fraudulent prescriptions and doctor shopping. Buying drugs with fraudulent prescriptions is sometimes a sophisticated operation with authentic looking papers and dummy phone numbers. But now, detectives are catching on and frequently visit pharmacies around the state to inform pharmacists about the signs of fraud. Police also strongly encourage pharmacists to be cautious when filling narcotics prescriptions. Where it was one a rarity for a pharmacy to turn away a customer, this practice is now happening all the time. The pharmacies are starting to pass on the opportunity for a quick profit from selling painkillers now more than ever. The state medical board and legislature have also taken steps to install policy to monitor and track the amount of prescribed narcotics. Each of these new developments has combined to raise the cost and decrease the availability of the once abundant painkillers. A 30 mg oxycodone may still cost a couple bucks at a pharmacy, but instead of selling for ten dollars on the street it now sells for twenty. It is more risky for dealers to sell oxycodone and other narcotics, and more expensive for users to buy them. There is still a demand though for hard drugs, and while painkillers are disappearing from our streets, heroin is showing up in record numbers. Heroin is making a renewed appearance all over Maryland but the areas that seems to be affected the most are the Eastern Shore and Baltimore City. Arrests for possession of heroin and possession with intent to distribute have skyrocketed in the last year or two in Baltimore. City cops have been making large distribution drug busts, as well as hundreds of simple possession arrests. Benjamin Herbst handled heroin cases in Baltimore and the surrounding areas and is standing by to offer a free consultation about your case. If you have been arrested for one or two capsules you will likely be charged with a misdemeanor. But if you or someone you know is arrested with more than five or six individually wrapped capsules, the chances are that felony possession with intent to deliver charge will follow. This is an extremely serious charge that requires immediate attention by an experienced criminal lawyer. 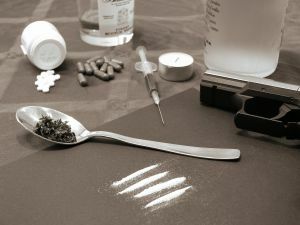 The penalty for a heroin felony can include considerable jail time even for a first offender, but The Herbst Firm will fight relentlessly to keep you out of jail and a conviction off your record.